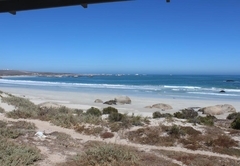 Waves is a property providing self catering in Paternoster for up to 4 guests visiting the Cape West Coast region. 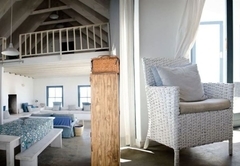 Waves is a house situated on the beach in Bekbaai. 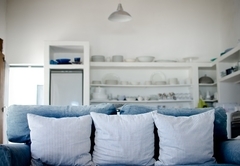 It is the ideal choice for a self catering holiday for four guests. 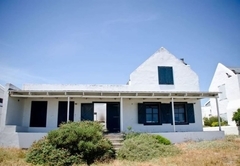 The house has two bedrooms and separate bathrooms. 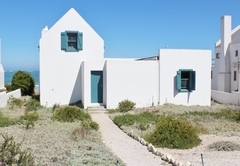 There is a quaint quad with braai facilities and large shutters opening onto the beautiful bay. 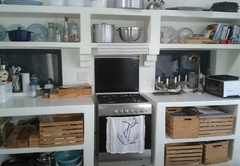 The fully equipped chef's kitchen will make self catering a breeze. 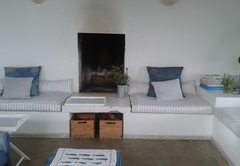 If you visit during the winter months the lounge has an indoor fireplace. Please bring your own decoder and card for the DStv. 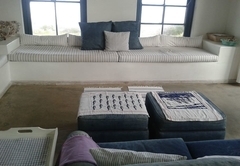 Situated on Bekbaai's beachfront this house boasts a main bedroom opening onto the beach with great entertainment area. Response timeWaves typically responds to requests in 5-10 minutes.